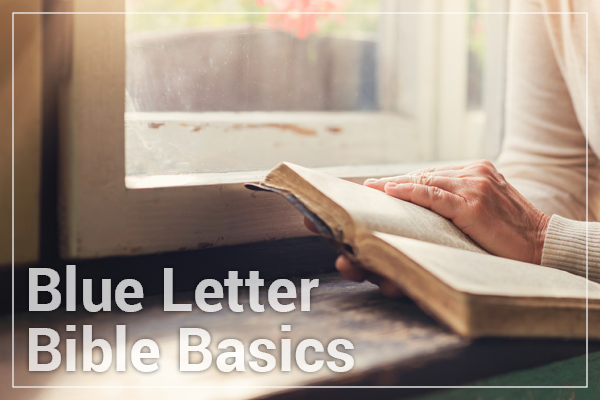 What's the difference between a Community Group and a Bible Study? Community Groups create an environment for building relationships with other believers by meeting together regularly, praying for each other, studying God's Word and caring for one another. Many groups use the sermon discussion questions to go deeper into the Sunday morning message. The groups are geared toward personal life application and discipleship rather than intensive Bible teaching. Do I have to be a member of Calvary Church to join a Community Group? No, you don’t need to be a church member! Our Community Groups welcome all members or attendees of Calvary along with their friends and neighbors who want to learn more about the Christian faith. 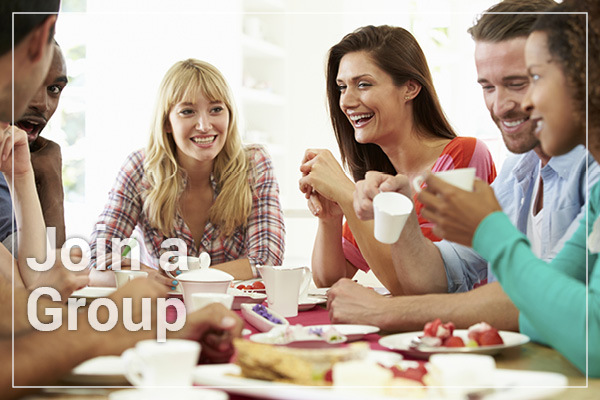 An ideal Community Group gathering would involve conversation, prayer, biblical discussion, and light refreshments. Groups usually meet for one and a half to two hours, every other week. We encourage Community Groups to periodically plan a social outing, such as a barbecue, Pops concert, ballgame, Festival of Lights performance, etc. 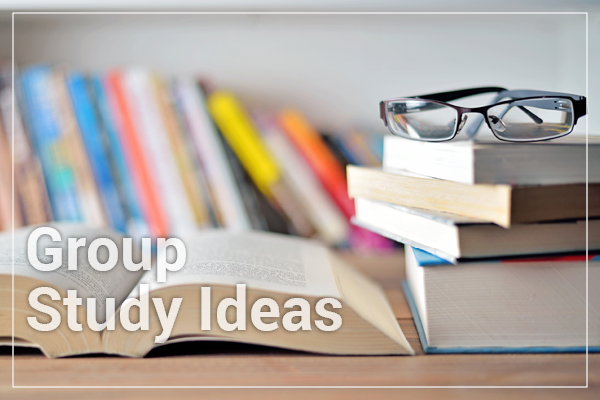 How do groups choose what to study? We encourage newly formed groups to use the sermon discussion questions which are designed to take the Sunday morning sermon deeper and facilitate conversation on the topics covered in the service. Some groups that have been together for a while may choose to use a different study. Suggestions are posted on our Leadership Portal. I don't know if I'm a Christian. Can I still attend a Community Group? Definitely! Joining a Community Group is a great way to find out more about Jesus and explore what it means to be a Christian. Your group will become your friends and provide a safe environment to ask any questions you might have as you attend church. Each Community Group decides when and where they will meet. Most groups meet in homes throughout the greater Grand Rapids area. Are my children welcome to attend the group? We love the idea of families attending a Community Group together, so we offer both Adult and Family Community Groups. Plans for accommodating vary from group to group, so your group would decide for itself depending on the ages of the children, the space in the home, etc. How many people are in a typical Community Group? There are between eight and twelve people in a typical Community Group, small enough for members to get to know each other well, but large enough for authentic community. 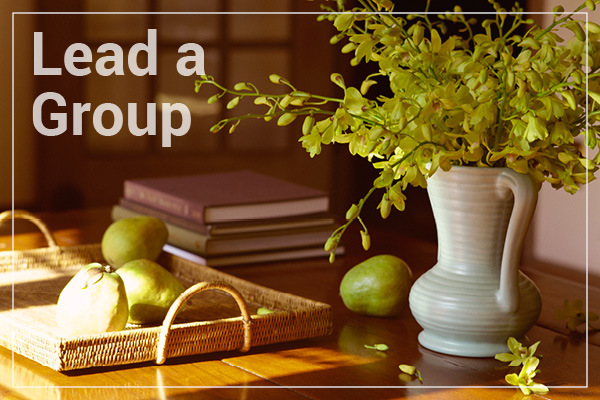 What if I cannot attend my Community Group regularly? Consistent attendance is encouraged in order to fully appreciate God's design for Christian community. If you have a challenging schedule, we encourage you to contact the Calvary Community staff for assistance. What if I have tried a Community Group and it wasn't a good fit? Our desire is for you to find a group where you can experience God's love and grow friendships. However, we do recognize that this doesn't always happen. If you find yourself in a group in which you feel uncomfortable, please do not hesitate to contact our staff to help you find another group that might be a better fit. The best way to join a Community Group is to attend one of our Community Group Launches, held two to three times a year. New groups are formed at each Launch, taking into consideration the area of Grand Rapids, age, marital status and availability. However, you may also join an existing group any time by stopping at the Connection Point on Sunday morning or contacting the Calvary Community staff at 956-9377, ext. 5650.